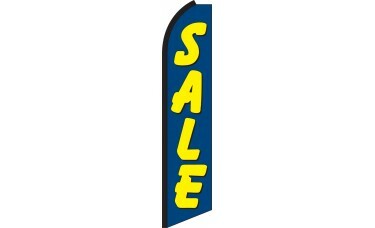 Our Sale (Blue & Yellow) Swooper Feather Flag features a bold font pronouncing "Sale" in yellow with a black border and black shading on a vibrant blue background. 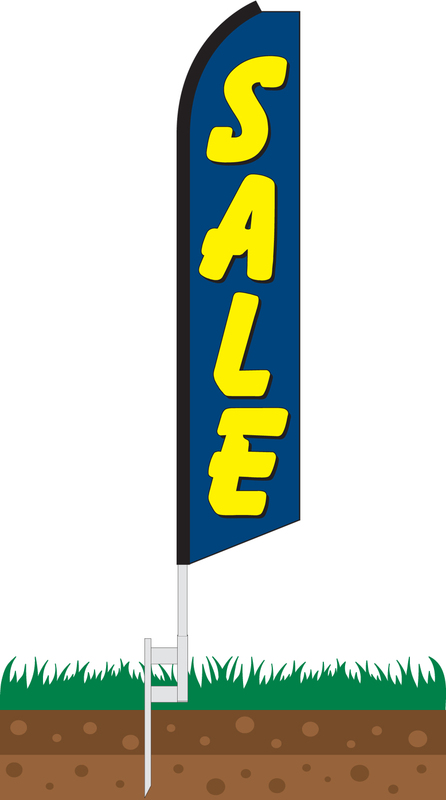 This flag is ideal for any company looking to attract attention and announce a sale. Our deluxe knitted polyester feather flags measure 11.5 ft x 2.5 ft. and feature double sewn hemmed edges and a hemmed sleeve. Flags Include a convenient rope tie on the bottom to prevent the flag from wrapping around the pole. We manufacture these flags with an extra strong, reinforced black oxford sleeve that hides dirt and is designed to withstand high winds over time. The Curved sleeve with free flying end allows flag to "flutter" in the wind. Feather flags are frequently referred to as swooper flags, bow flags, and super flags. Add Swooper Aluminum Pole Kit To Order? Our Deluxe 4-Piece Swooper Feather Flag Pole Set is constructed of extra heavy duty aluminum tubing and is finished with an anodized coating. Our flagpole sets are unique in that the diameter of the pole is the same from the top section to the bottom section for added durability. Each section swedges together to form a finished 15ft. tall pole set. Add Mounting Hardware To Order? 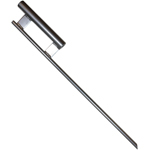 Ground Spikes are recommended for installing your flag set in grassy or dirt areas. Our ground spikes are manufactured from durable plate steel and tubing with extra thick walls to resist denting provide long-lasting support for your flagpole. They are finished with a heavy silver powder-coating to withstand the elements. All welds are full-line as opposed to spot welds for added durability. Tire Bases are recommended for use under the tire of a vehicle; These are often used at car dealerships. Our Tire Bases are manufactured from extra thick angle iron and steel tubing and finished with a heavy silver powder-coating to withstand the elements. All welds are full-line as opposed to spot welds for added durability. 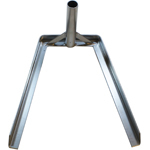 X-Stands (Cross Bases) are recommended for use on solid firm ground such as a sidewalk or indoors at a trade show. 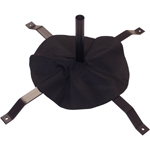 Included in the set is our X-Stand and Sand Bag for providing the necessary weight to support your flagpole. Our X-Stand is manufactured from durable plate steel and finished with a heavy black powder-coating to withstand the elements. Please note: Sand is not included.